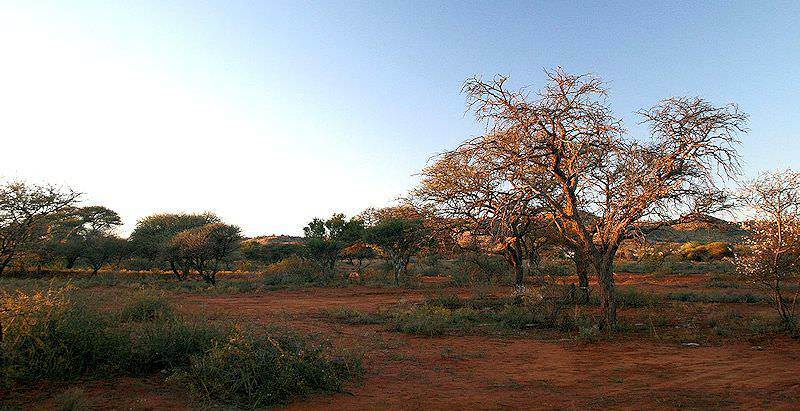 Mokala National Park is a little-known stretch of arid wilderness in the Northern Cape. Mokala National Park is a place of dramatic beauty where visitors can enjoy complete tranquility in nature. It is a wonderful sanctuary for wild animals and you will find this haven about 80km southwest of Kimberley. The landscape of Mokala is made up of small hills and vast open plains. There is a surprise waiting for you when you go over the hills, as you will be met by wide sandy plains towards the northern and western parts of the park. Drainage off these hills forms small rivers that flow into the plains and empty into the Riet River. Mokala is a Setswana name given to the camel thorn. These trees are found in the dry woodland and sandy areas of the park. They are one of the more important tree species found in the desert regions of the southern parts of Africa. The camel thorn also provides the staple food for most of the large animals in the park. There are parts of the camel thorn that have been used for centuries by the regional tribes for traditional medicines. These medicines have treated coughs and colds as well as nose bleeds. Some people use the roasted seeds as a substitute for coffee. Travel to South Africa for a diverse range of experiences during your vacation. Botswana is Southern Africa's supreme safari destination, boasting ample wildlife. Namibia travel typically comprises thrilling desert-oriented safari activities. Zambia's most sought-after destinations include Vic Falls and South Luangwa. Travel to Zimbabwe for a mesmerizing glimpse of the Victoria Falls. Mozambique is an enthralling tropical paradise ideal for beach vacations. The Kruger National Park is South Africa's largest and most important conservation area, preserving a spectacular wealth of wildlife. The Sabi Sand Private Game Reserve is the most popular of South Africa's private game reserve, offering superb Big Five safaris. Cape Town is a diverse tour destination, offering everything from unforgettable ocean adventures to relaxing seaside leisure. The Garden Route is one of South Africa's most alluring coastal escapes, with lush forests, sparkling lakes and fine beaches.